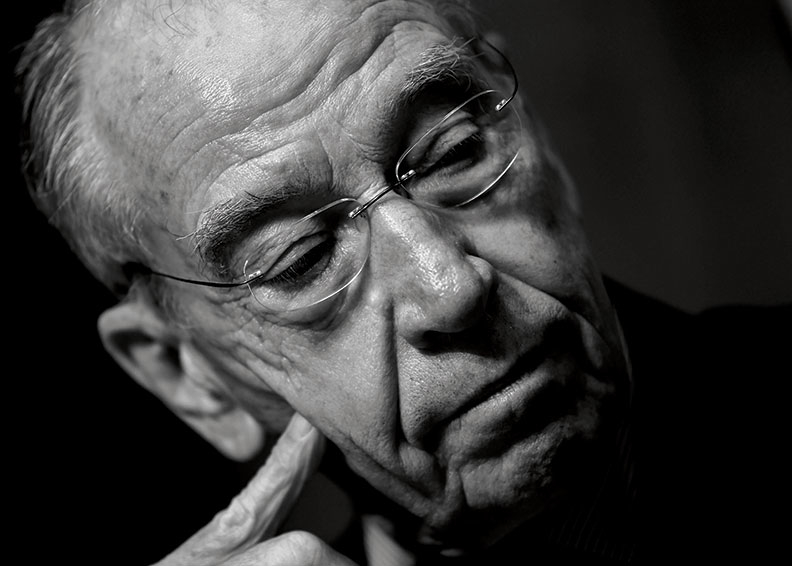 Dean Zerbe, former senior counsel to the Senate Finance Committee, recalled the pivotal moment nearly 15 years ago for panel Chairman Chuck Grassley’s scrutiny of not-for-profit hospitals. “That was a pretty blatant moment,” Zerbe said. What happened next still reverberates today. As the powerful committee conducted its investigation, the IRS ran its own parallel, three-year study into not-for-profit hospitals. The IRS ultimately redesigned its Form 990 tax document for not-for-profit organizations with a special Schedule H section—H for hospitals—and released the final version in 2008. It required tax-exempt providers to answer a slate of questions about how they give back to their communities. Significantly, hospitals had to start tallying the hard cash they spend treating poor patients and disclose how their community benefit stacks up as a percentage of spending. The Iowa Republican didn’t let up on his oversight on the issue. When the Affordable Care Act came around, Grassley secured a provision expanding Schedule H to gain even more insight into hospital operations. Fast-forward to 2019. Grassley is back chairing the Finance Committee following a stint at the helm of the Judiciary Committee. His concern over tax-exempt status hasn’t waned and coincides with the increased focus in Washington on transparency. Due to Senate Republican rules, Grassley has two more years chairing the committee, leaving little time to make sure one of his signature oversight accomplishments is doing what he intended: make sure not-for-profit hospitals are providing the right level of care to poor patients and that they’re not playing pricing games or threatening debt collection. Grassley revived his oversight push last month with a letter to IRS Commissioner Charles Rettig, asking for a briefing on the full scope of the agency’s audits. A former Grassley aide who conducted similar deep-dive investigations said the committee is likely to act quickly. Not only is the clock ticking on Grassley’s tenure as head of the committee, but the 2020 presidential election means that hefty congressional business will need to mostly wrap up this year. The senator has assigned committee staff to receive IRS findings on levels of charity care hospitals offer and whether providers are widely advertising the availability of financial assistance for poor patients who would qualify. The IRS was asked to submit its findings by April 1. The letter is the first step. What follows will depend on what the IRS reports to him, Grassley told Modern Healthcare. He said he doubts Congress will need to take additional legislative action, so long as the IRS is implementing the expanded Schedule H provisions as intended. Not-for-profit hospitals are required to assess community health needs every three years and set a strategy to address them. Hospitals also must set financial aid policies and not set prices for people receiving financial help that are higher than the prices billed to insurers. This has happened before. In 2010, in a case closely watched by the industry, the Illinois Supreme Court ruled that Provena Covenant Medical Center in Urbana, Ill., (now part of OSF HealthCare) did not give enough charity care to qualify for a property tax exemption. Grassley, then the ranking member of the Finance Committee, welcomed the ruling when it came. Zerbe said that as the current investigation progresses it could produce similar downstream effects at the state and local levels where officials have their own levers—through property taxes for instance—to tamp down on potential abuse of exempt status. “I think more and more folks on both sides are recognizing that we’re not looking enough at hospitals, or looking at what we are getting for their $20 billion to $30 billion in tax benefits,” he said. “What are they doing for the poor? This is setting the stage” for that discussion. The hospital industry frames the issue very differently. “In 2015, an AHA analysis of Schedule H filings reported that 13.3% of tax-exempt hospitals and health systems total expenses were devoted to community benefit programs, and that half of that spending was attributable to expenditures for providing financial assistance to needy patients and absorbing losses from Medicaid and other means-tested government program underpayments,” Melinda Hatton, general counsel for the American Hospital Association, said in a statement. “According to the report, non-profit hospitals in 2013 were exempt from an estimated $6 billion in federal taxes and provided an estimated $67.4 billion in community benefits,” she said. Schedule H is 10 pages long, and about half of the form is a result of Grassley’s ACA provision. A Modern Healthcare analysis of Schedule H in more than 1,500 Form 990s late last year found inconsistencies or errors in how hospitals report their community benefit, even though in most instances they were following IRS’ instructions. In about 5% of the forms examined, the Schedule H did not accurately show how much a hospital spent on community benefit. The analysis also found inconsistencies in how hospitals let the public know about their financial assistance policies. Grassley is focusing on this requirement. He asked the IRS to cite how many not-for-profits aren’t publicizing their financial assistance policies widely enough for poor patients to know they can get help. For fiscal 2017, out of 1,193 hospitals reviewed, the IRS told Modern Healthcare late last year that it flagged about one-third, or 388. Not meeting financial assistance or billing and collection requirements were among the reasons a hospital’s report was called out. A former IRS official, who worked on developing Schedule H the first time around, said there’s another weakness: the fact that each not-for-profit health system reports community benefit spending in total, rather than for each of its facilities. Changing that would take considerable willpower from Congress. In the end the agency settled on requiring that number from the over-arching organization only since it’s the organization itself that qualifies for the tax exemption. Additionally, he said, the reporting could be extremely burdensome for a tax-exempt system with 100 hospitals under its umbrella. Modern Healthcare’s analysis of community benefit spending found that in Illinois 9% of the hospitals’ total expenses were dedicated to community benefit programs in 2013, compared with 8.2% in 2016, though not all hospitals had reported for 2016 at the time of the analysis. Percentages for individual hospitals ranged from 0% to 28.6%.